Opossums (also spelled Possums) can be an extreme nuisance to your living environment. Whether they are in your attic or finding their way into your home or office, it is important to get the problem remedied before they become a larger problem. Quick Catch offers Opossum trapping and Opossum removal services to Jacksonville and surrounding North Florida areas including, Duval, St. Johns, Clay, Putnam, Baker, Nassau counties. Opossums can cause a lot of damage, destroying electrical wiring, air conditioning duct work and dry wall. Opossum removal is essential to prevent costly damage in the attic. At Quick Catch we not only remove the animals, we also offer animal proofing service to help prevent a re-occurrence. Opossums typically leave their feces and urine on the attic insulation and in various places in your home, or office, producing a strong and repulsive smell, and could also cause negative health effects. Opossums can have as many as 15 surviving young at a time. If the Opossum of one of its young fall into a wall space and can’t get back out, it will die and cause a terrible smell. The smell of a dead opossum carcass can increase when the opossum begins to decompose. The dead animal carcass is also covered in parasites and additional odorous bacteria that really need to be removed. Opossums are one of the largest carriers of the Cat Flea which can carry multiple diseases. Also, if an opossum feels threatened, it will bite. Opossum trapping should be left up to the professionals at Quick Catch. Trapping opossums is the most effective way to remove them. Some other companies use other methods for opossum removal but they are not as effective and sometimes inhumane. Some companies will use poison and not only is it illegal but the animal will probable die in the attic or in a wall and produce a terrible smell. Then removal of the dead animal will be necessary. Other techniques such as making sounds and creating repellent smells rarely work. Even if these other methods happen to work, the animal is still around your home or business and may come back. Based on our exhaustive research and our experience, the opossum needs to be trapped and then relocated far enough away that it will not come back. Quick Catch can assess damage caused by the opossums and repair holes or gaps, and close off possible entry ways into your home, or business. We can produce an estimate to assess the damage and required efforts. What are ways to Detect A Opossum Problem? How long will the process take to trap opossums? Quick Catch is dedicated to resolving your opossum problem in the most efficient way possible, however the length of time to resolve the problem varies; every opossum trapping session is different. 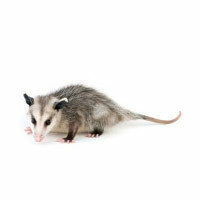 There are multiple considerations that can effect how long it takes to trap the opossums in your home or business.